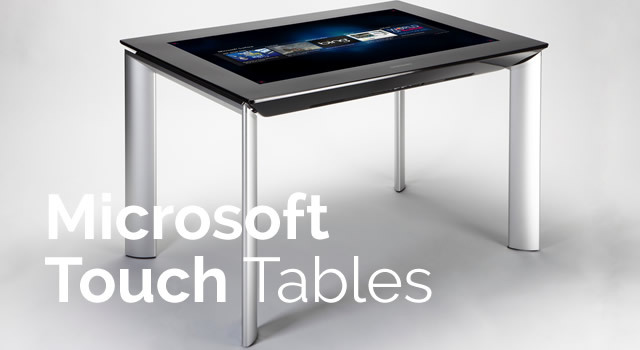 Although the Microsoft Touchscreen Table was discontinued by Microsoft/Samsung, we have the perfect replacements for the Microsoft Table. We have a range of options in design and screen size, with multi-touch in a range of touch points. Our Microsoft touch tables are available with sculpted furniture in a finish to match your interior, or we can provide Corian or Chrome as alternative options. Please call for pricing and delivery lead time for any of our Microsoft touchscreen tables.